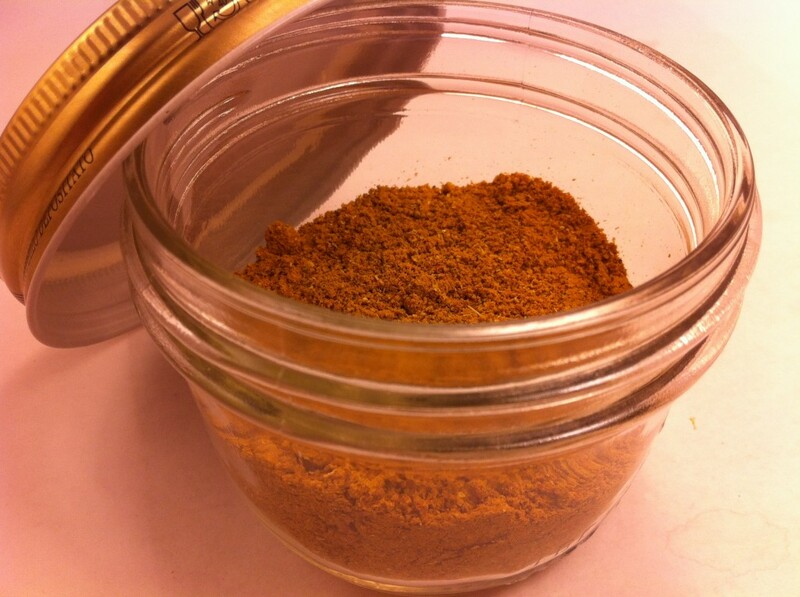 Here is a great Cape Malay spice mix to use in Cape Malay curries and other dishes. It is adapted from this recipe on food.com. I only made 1/3 of batch of the original recipe and reduced the amount of fenugreek because I find it pretty bitter for my tastes. In the past when I have made Cape Malay curry, I just threw in some spices, but this time I was excited to find this great spice mix. I will be posting my version of Cape Malay curry soon! Toast all the whole spices in a dry skillet until a little browned. Add the red chili and curry leaves last so they don’t burn. Grind in a coffee grinder with the ground spices (I find that the coffee grinder works best when it is fuller, that is why I add the ground spices in too. Also it gets all the spices mixed together well). Store in a sealed jar.